This Ferrari 250 GT California Spyder 1959 with factory hard top and covered headlights (Chassis n° 1283GT) was once the property of famous French movie-maker Roger Vadim. 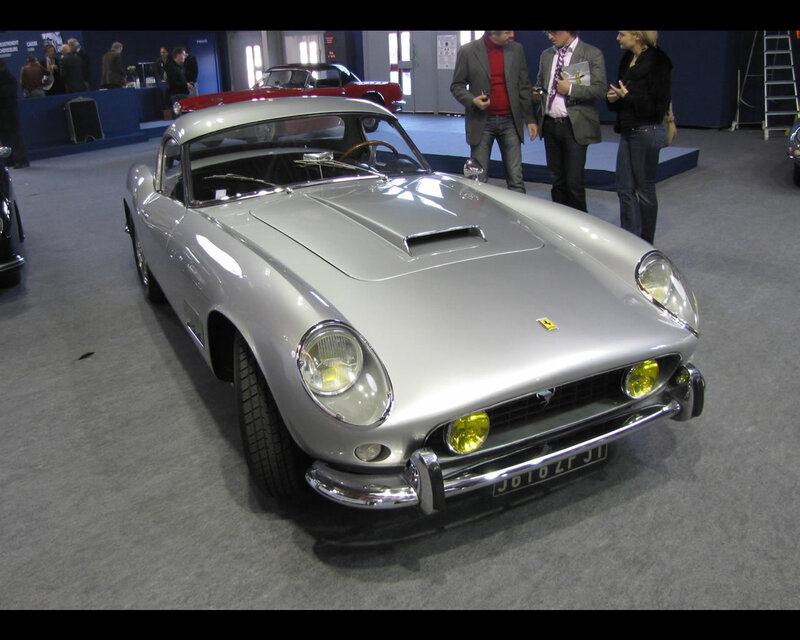 It was sold for 4.507.104 Euros at Artcurial Auction during 2012 Retromobile in Paris. It was the 22nd model built out of a total 47 examples. Ferrari's destiny was changed by the 250. Starting as a small-scale constructor, it took on an industrial dimension and gained the international reputation that it enjoys today. 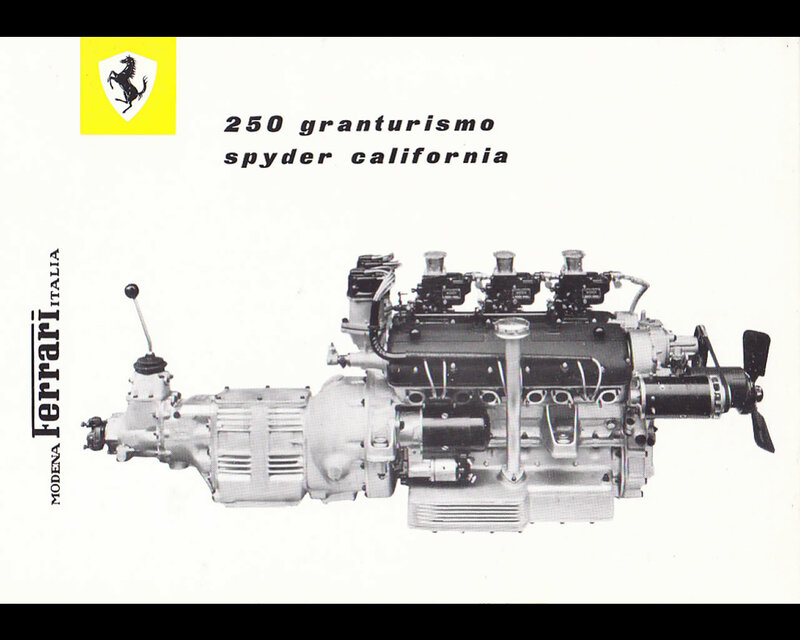 Centred on the famous V12 3-litre engine, which had nothing further to prove, two Ferrari families were born: one destined exclusively for the track and the other, offering a level of comfort and equipment missing until that point, for the road. The racing line gave birth to such legendary cars as the Testa Rossa, Tour de France berlinetta, 250 GTO and the 250 LM. Meanwhile stars, tycoons and amateur enthusiasts fought over the road-going line which produced splendid coupés and cabriolets. A constant characteristic of Maranello was the strong link between these two groups, which meant that the road-going cars were never far from the race track versions. The 250 GT California Spyder is the child of this perfect marriage. Indeed, while the 250 GT convertible by Pinin Farina is derived from the GT coupé, the California Spyder is drawn from the competition berlinetta. So much so that the brilliant design by Pinin Farina was bodied by Scaglietti who built all competition cars for Ferrari. The Spyder used the same chassis with 2.6m wheelbase as the Tour de France, had a comparable engine and featured the same rear wing styling as the closed version. Being geared less towards racing, it was a little heavier than its counterpart, but still lighter than the cabriolet. Also, there were certain models, specially prepared with a stopwatch in mind, that distinguished themselves on the circuit: Ginther and Hively finished first in the GT category and ninth overall in the 1959 Sebring 12 Hour race, and Grossman and Tavano took fifth place in the Le Mans 24 Hour race the same year, at the wheel of a spyder from the NART team belonging to enthusiast Luigi Chinetti. 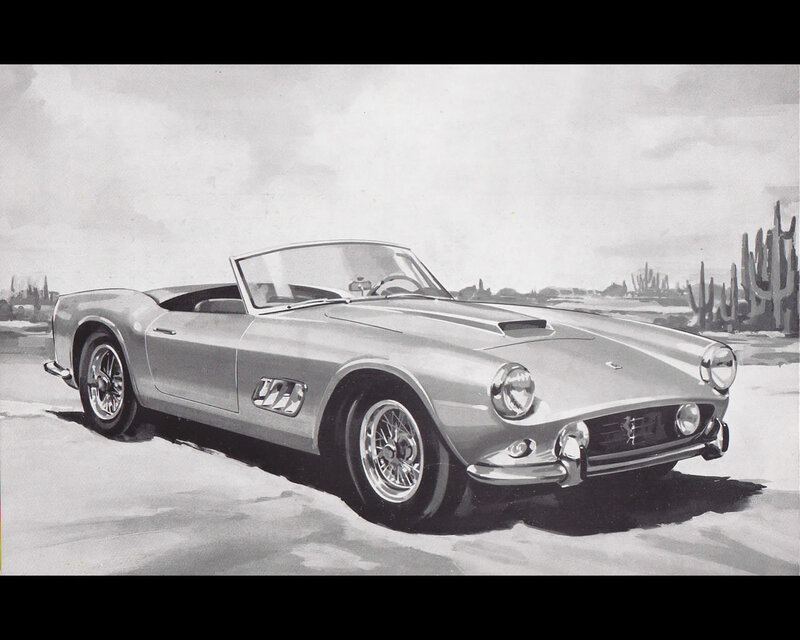 The aforementioned Chinetti was involved in the “California" title of the 250 GT Spyder : originally from Milan and a close friend of Enzo Ferrari, he was largely responsible for the widespread and efficient distribution of Ferrari throughout North America. This became an important market for the model that evolved alongside the competition versions, and enjoyed great commercial success with demanding wealthy amateur drivers. In all, forty-seven examples were sold in less than two years, with surprisingly just six going to California. Two further California left the Scaglietti workshop at that time, a "Boano" coupé and a Pinin Farina cabriolet, both rebodied after accidents. And one must not forget the 52 short-chassis examples which followed on between 1960 and 1962. An exclusive and high-performance model, the California Spyder holds a special place in the history of Ferrari, as it embodies an unrivalled fusion of qualities for road and track, the two paths on which Ferrari built its global success. The open versions of this brand are particularly rare, which explains the growing success across the decades of the California, the most expensive road-going Ferrari today. Suspension Independent front suspension with coil spring and hydraulic shock absorbers, rear suspension with rigid axle with trailing arms, semi-elliptic leaf springs and hydraulic shock absorbers.